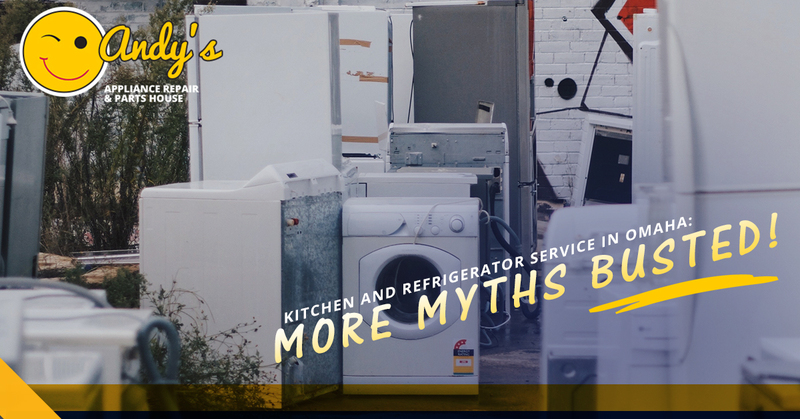 Before we dive into the meat and potatoes of today’s post, which is about debunking some old wive’s tales about common kitchen appliances, we would like to explain what sets us apart in Omaha and Lincoln as the leader of appliance service. 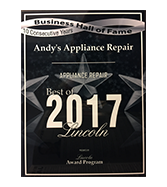 We provide quality appliance repair in Lincoln and Omaha, have been family owned and operated since 1971, and feel a deep connection to the communities to which we belong. Our approach to appliance repair is unique in that we have a guest mentality when we come into your home for any diagnosis or repair work. That means, quite simply, that we are dedicated to making you feel comfortable. Not only will we do everything we can to arrive punctually within our two hour timeslot, but we also make a point to act with respect when we are in your home. Part of that has to do with the quality people we hire to represent us. We could tell our Master Certified Technicians to do x and y, but at the end of the day, if that message falls on the ears of people who aren’t interested in excellent customer service, it is in vain. In that way, the people that we hire makes a huge difference. Beyond that, we have standards of excellence that every home visit requires. One of them is protecting your property by using safety equipment, floor coverings, and mats to make sure that your floor and home are well-maintained while we are there. Another standard is that each technician is well-equipped to handle whatever the job requires. We are knowledgeable in our field, yes, but even experts with a good deal of experience require outside assistance. With that in mind, we equip every technician with a laptop to ensure they have all relevant appliance service information required to solve your problem as quickly as possible. Once our technicians have an understanding of the work that needs to be done, we order any necessary appliance parts directly from your home to make the process efficient. Finally, we use Appliance Job Rate Pricing which has been designed for Omaha, Lincoln, and the greater Nebraska region. This gives our clients the assurance that every estimate we provide will be fair and accurate. 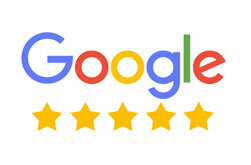 We believe that our clients can tell the difference that these added measures take, which is a huge reason why we are the predominant presence in both Lincoln and Omaha, as well as in the rural areas beyond. Ahh, one of our favorite past times, myth-busting. In a previous post, we did our best to dispel some common misconceptions about standard appliances and their use. For example, we explained that the old wive’s tale of “standing outside the microwave will expose you to radiation” is not accurate, so you can feel free to stare blankly while you are reheating that leftover pizza slice. Today, we will continue with this theme, for two reasons. One is that this knowledge is genuinely helpful, and two is that it’s pretty fun. Read on if you are interested in some handy knowledge that you can also bring up to your friends if the time is right! (We don’t recommend going up to your friends and discussing appliance myths, you know, unless your friends are into that sort of thing). While we warrant that using an extra fridge for storage is a good idea, we can’t say it’s always an economical choice. Old refrigerators tend to use gobs more energy than newer, more energy-efficient models. In a few years, you will have likely paid more for the extra electricity than a full-on replacement unit would have set you back. But the tricky part is determining how much your individual fridge is costing you each month. Luckily, Energy Star provides you with a handy tool to determine how much your old refrigerator or freezer costs to operate. You might be surprised to learn how much you could save by going with an energy-efficient option. The first step is to check! While we aren’t sure who is promoting this refrigerator propaganda, all we can do is to do our best to set the record straight. When a refrigerator is plugged in, it’s on and operating for 24 hours a day. Come to think of it, it is really the only appliance out there that is constantly in use. This is not true. Modern dishwashers use much less water than ever before, and with that change comes the need for less soap. While we would guess that the majority of people overfilling their soap dispensers are children learning how to help around the house, it doesn’t hurt to remind everyone about this fact. Why? Using a superfluous amount of dishwasher or washing machine detergent can have an adverse effect. With dishwashers specifically, it can leave a soapy film on your dishes and glassware, which nobody wants. In the same way, adding too much soap to your washing machine will cause an overly sudsy effect. That can actually hurt your washing machine in the long run, which might result in you calling your local, reliable appliance repair company for washing machine repair. This isn’t a categorical myth, because some ovens do have thermometers installed to relay exact temperatures. But many have a timer which has been approximated to go off when the average amount of time to reach x temperature has been reached. As your oven ages, the accuracy may wain. Even still, the odds are in your favor that the approximation is close enough, especially if you are baking something that doesn’t require precision when it comes to bake time. If, however, you are baking cookies or the like and you need to be spot-on, consider hanging a cooking thermometer in your oven to ensure optimal accuracy. Problem solved! Remember to call Andy’s Appliance Repair for all of your oven repair needs. Just because you have a massive A/C unit that is way too loud, it doesn’t necessarily follow that it will cool your home down more quickly. The more likely scenario is that your A/C unit will turn off and on more frequently after it has adequately cooled off the room. Why does this matter? It can hurt the overall lifespan of your A/C unit, meaning you’ll need to get air conditioner repair, or even a new A/C unit much more quickly. That’s not good. A second drawback is that you’ll have more temperature oscillations in your home, because the unit isn’t steady enough. Now, not all high-powered A/C units operate this way, so it’s something to keep in mind if you are in the market for a new air conditioner. Whether you are looking for Miele repair, Electrolux service, or need GE dishwasher repair, we’ve got you covered with reliable appliance repair here at Andy’s. 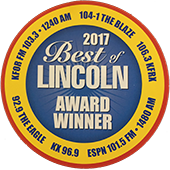 With the region’s largest parts inventory, a nationally recognized Certified Appliance Service Center in Omaha and Lincoln, and Certified Master Appliance Technicians, we are confident that we can leave you satisfied with the price and service. We service warrantied and non-warrantied domestic appliances. 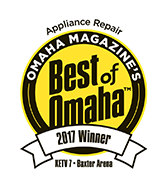 We believe our blend of industry expertise, connection to the community, and commitment to providing exceptional levels of customer service make us a great option for anyone in need of domestic appliance and refrigerator repair service in Omaha and beyond. Reach out to us today!